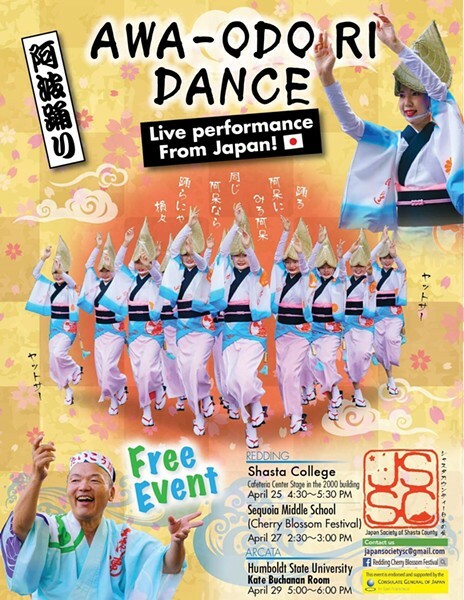 When: Mon., April 29, 5-6 p.m.
16 dancers will be making a special trip to HSU to share their energetic and fun dance with the help of local Japanese community. The Awa Odori Festival is held usually from August 12 -15 as part of the Obon Festival in Tokushima Prefecture on Shikoku Island in Japan. Awa Odori is the largest dance festival in Japan and attracts over million tourists each year. Performers wear traditional obon dance costumes and chant and sing as they dance. 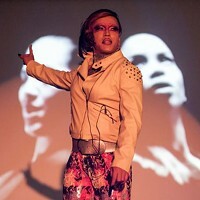 This is a once in the lifetime opportunity to witness this dance outside Japan, and here on the northcoast.